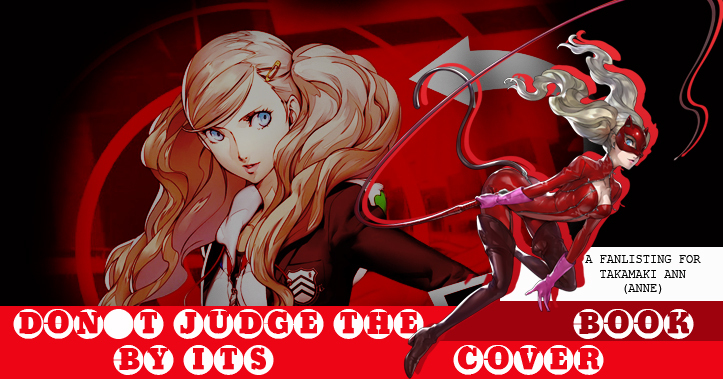 You've just reached "DON'T JUDGE THE BOOK BY ITS COVER", the TFL and TAFL approved fanlisting for TAKAMAKI ANN (or ANNE), one of the main characters of the videogame PERSONA 5! Takamaki Ann (Anne) & Persona 5 are property of Atlus, manga published by Shogakukan, anime by Aniplex and Atlus. I This is only a fansite and no infrangiments of those rights is intended. Layout and contents are (c)Akira since June 9th, 2017. Do not reproduce without permission.